Here's a map / locations of all the shops / stores you can rob in GTA V.
There are a total of 19 convenience stores you can rob in single player GTA 5. Walk up to a clerk and point a gun at them to get them to start loading money in a bag. You only need to point your gun at the clerk once, it's not necessary to point it after he moves to unload the register. When you pull out your gun, there is a small chance that the clerk will pull out a shotgun and point it at you. Usually though, the clerk will comply and begin to load money into a bag. In stores that have two cash registers, it's possible to shoot the second register for more cash. But make sure you only shoot the second register after the clerk hands over the cash. Retrieve the cash, and exit. You can also walk behind the register and press right on the D-Pad to open it and take the money if the clerk died or there is no clerk inside the shop. Once you get the money, you will receive a wanted level. Note: Online, you can yell into your headset or shoot near the clerk to make him put the money in the bag faster. Also, if you wear a mask during the robbery, and then take it off when you get in your getaway vehicle, you will lose a star from your wanted level. 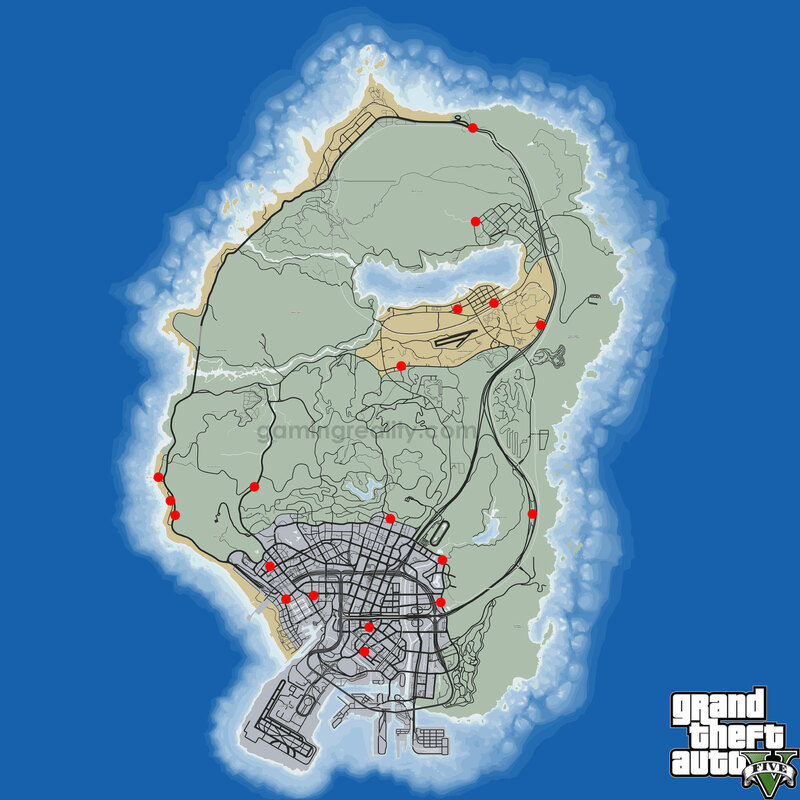 Note: In GTA 5 Online the shops you can rob are marked on the in-game map. Note: You can also rob any store in the game if you walk inside so that the door closes behind you, then begin to walk out, but stop half way so your character is keeping the door open with it swung outside, this will allow you to equip a weapon and point it at the store clerk. You can shoot the cash registers and money bags will drop on the floor. This works both in story mode and online. Note: You need one robbery for 100% completion. Have any questions, comments or tips for robberies in GTA 5? Please post them in the comments below.